The newest addition to the Calypso Lemonade family, GrapeBerry, is the perfect mixture of grapes and lemon – and we gave it the famous Calypso twist by adding blackberries. 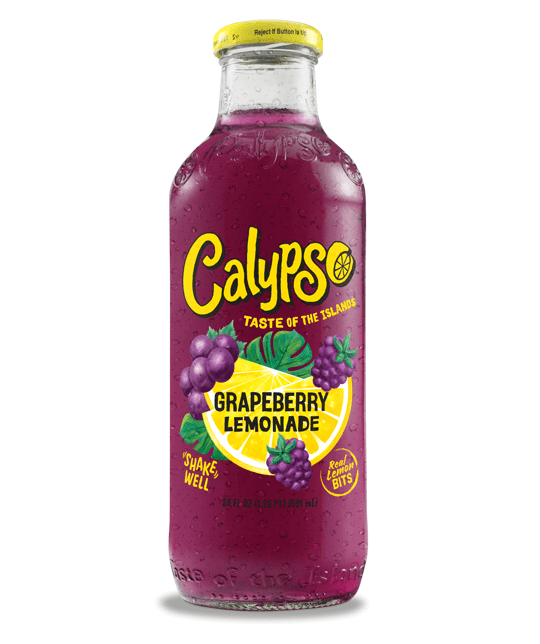 GrapeBerry gave Calypso fans their request for a grape flavored lemonade, in a way that only Calypso can. The flavor also brought additional color to the bright Calypso line by becoming the first purple flavor.